I believe that this is the first book in any language that attemps to deal comprehensively with the limnology and general biology of a river delta. Yet there are many deltas scattered about the planet and they have long been of importance to mankind, especially after the development of agriculture, and the formation of permanent settlements. Indeed, our knowledge of the delta of the Nile extends far back to the very beginnings of history. As is true of most multiauthored books it presents a variety of points of view, and there is some degree of overlap of content among the various chapters, but there is also a thread of concern throughout the text about the general eutrophication of the waters caused by human activity that introduces increasing amounts of plant nutrients, particularly ionic nitrogen and phosphorus. These concerns appear whether the authors are dealing with such varied topics as water chemistry, phytoplankton, zooplankton, rooted plants or bacteria in the sediment, and they can be seen to indicate that there are many potential ways of quantifying the onset of eutrophication, instead of the general pattern of waiting for telltale and often nasty results to be seen in phytoplankton. It is also good to see that some of the concern is about the effects of agriculture, which always seems to attract less blame than industry, although, ecologically, it is undoubtedly one of the very worst things that mankind does to the environment. Indeed, to me as a running water ecologist, it seems that the book opens up a host of ideas that are well worth further thought and study. For instance, quite apart from eutrophication, we are introduced to an intimate relationship between channel waters and flood plain lakes that is apparently much closer than occurs on ordinary river floodplains. There is also clearly much to be learned about the effects of the varied salinities that occur near the sea, which seem rather different from those of the better studied estuaries. Comparative study of the differences between delta and floodplain could well lead to better understanding of the latter, which is needed as we increasingly try to manage the landscape to our advantage. Another possibility that is opened up by this book is comparison between deltas. 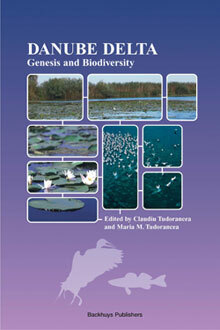 The Danube Delta is fairly close to the Volga Delta, so they share much in terms of climate and biota, and also such things as the migratory routes of birds, so comparative studies could well open other questions. Moreover, the Nile and Niger Deltas are further south on similar longitudes, so we have the possibility of good climatic comparisons. Moreover, the rather similar situations of the Mississippi and Amazon rivers across th Atlantic offer opportunities for further comparative work, which in ecological situations is often very rewarding. And taking this line of thought further, and revisiting the comparison between floodplain and delta and the apparent differences of relationship between channel and nearby lake, there are several so-called inland deltas that could shed light on this relationship. I refer to the complex of waters upstream of Timbuktu in Mali and the Pantanal area of the Paraguay River in Brazil, and there are several other places where a river system houses a rather similar condition of a jumble of rivers and lakes, such as the land between the Tigris and the Euphrates in Iraq, the Sudd on the White Nile in Sudan, and the vast areas of wetlands in the central region of the Amazon, which have already been studied by German scientists who have devoted a journal to that work (Amazoniana). So this book could inaugurate a new field of research, as well as proving of general interest to limnologists, environmentalists of all types, and also fishermen and bird watchers.